Home >> Daily Dose >> What Is in Store for Home Values? It might not be a crash, but home appreciation is certainly poised for a slowdown in 2019 according to the fourth quarter of 2018 VeroFORECAST. Published by Veros Real Estate Solutions, the quarterly forecast revealed that the rate of appreciation in 2019 would drop to 3.9 percent in some of the most populous markets of the U.S. reflecting a half-percent drop from 4.5 percent that was reported in the previous quarter's report. "This amount of change from one quarter to the next is significant," said Eric Fox, VP of Statistical and Economic Modeling at Veros. "While the market fundamentals remain solid and we still expect the overall housing market to remain healthy, there is a definite slowing down of most markets from last quarter's update." 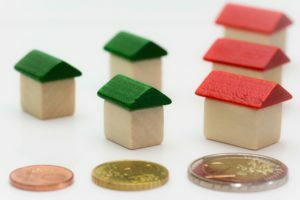 Looking at the factors that were likely to impact home values, the report said that overall interest rates "appear to be softening the forecasts in many markets by 1-2 percent" over what they would have been if these rates had remained flat as in the past years. "At the same time, housing supply is a key discriminator between our top and bottom forecast performing markets," Fox said. "We do not see a crash, but simply a slowing down as the strength of the past few years is expected to dissipate somewhat in most markets," he said. The report indicated that the number of depreciating markets has increased from three to five percent since last quarter's update. This means, 18 markets, twice as many as in the third-quarter 2018 report, are predicted to depreciate through December 1, 2019. Farmington, New Mexico which was expected to depreciate 2.9 percent topped this list, followed by three cities in Illinois Danville (1.4 percent); Decatur (1 percent); and Peoria (1 percent). Grand Forks in North Dakota (0.8 percent) rounded off the bottom five markets. The forecast also revealed a diminishing trend of big cities dominating the housing market values. This quarter's forecast indicated that a majority of the top and bottom 10 housing markets were small to modest-sized cities with an average population of 260,000. Four states, in fact, dominated the top 1o markets. They included Idaho, Washington, Texas, and Colorado. The housing market in Boise City, Idaho was projected to show maximum appreciation at 9.5 percent by December 1, 2019, followed by Olympia, Washington (8.8 percent); Midland, Texas (8.7 percent); Idaho Falls, Idaho (8.6 percent); and Odessa, Texas (8.4 percent) rounding off the Top 5 markets. Hotspots such as Denver, Las Vegas, Reno, and Dallas would be appreciating at lower rates this year, the report predicted.